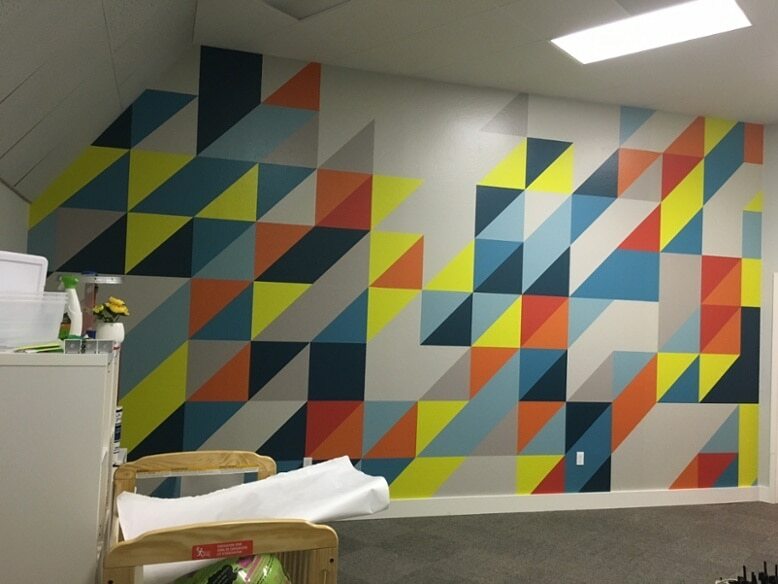 Geometric Graphics for Menlo Church! Home/Media /Geometric Graphics for Menlo Church! Earlier this fall we were called on by our friends over at Menlo Church. They wanted our help and expertise to bring life to the children spaces in their San Jose campus. These spaces, branded Menlo Kids, are places for children to participate in a variety of lectures, arts and crafts and other activities. Throughout the design process we learned that the client, Menlo Church, wanted to visualize the six separate learning spaces differently based on the different age groups of children that would be using the spaces. 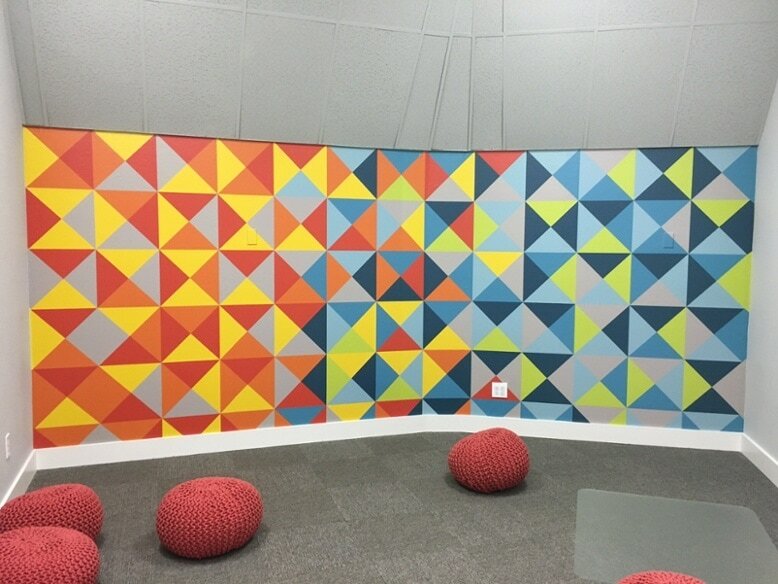 For example, the room with the wall graphic displaying the honeycomb pattern (as seen above) is intended for the younger group of children, while the rooms with the more right angled shapes were intended to be used by the older groups of children. We definitely enjoyed our work with Menlo Church for this project and are looking forward to a continued relationship. Check out more pictures of the project below and let us know what you think of the graphics.